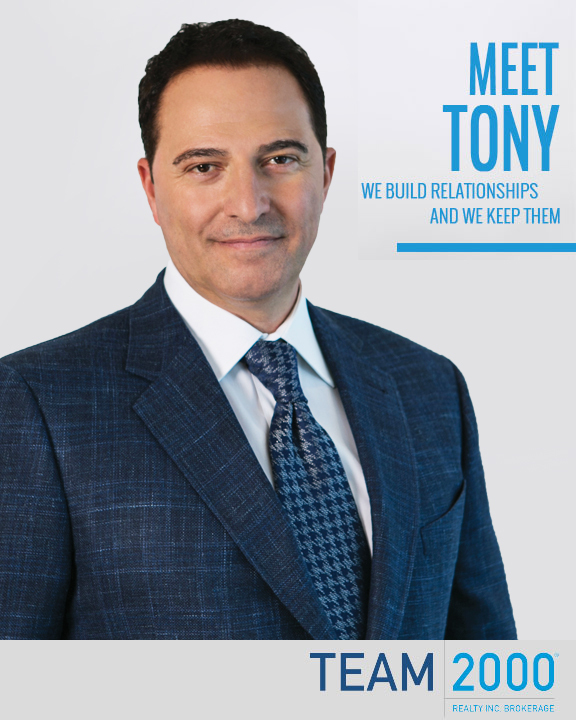 Tony was introduced into the real estate business in 1986 (30 years ago) by his father, Domenic Bova Sr. who was an extremely successful resale agent within the Toronto GTA community for over 40 years. After two years of resale sales he was introduced into the new home real estate sector where he excelled at the sales level and shortly after began managing a sales team and various builder accounts. As the new home industry evolved, Tony recognized the need to specialize his sales team with various new home sales techniques alongside with helping his builder clients understand the power of marketing. Over the past decade, Tony, through his company Team 2000 Realty, has been an intricate part in effectively branding many of his builder accounts, who are now well known builders across the GTA. Over the past 16 years Tony and his Team of successful sales agents have sold over 20,000 homes and have completed hundreds of communities throughout the GTA. Team 2000 Realty since its inception, maintains the ranking of one of the top five brokerages throughout the GTA.